Sir C.R.Reddy College of Engineering is the first Engineering College in Andhra Pradesh sanctioned and recognized by All India Council for Technical Education (AICTE). This College is permanently affiliated to JNTUK from the Academic Year 2017-18. Since its inception in 1989, Sir C.R.Reddy College of Engineering has been a premier institute for quality engineering education in Andhra Pradesh under the stewardship of its broad minded and magnanimous management. The last two and a half decades has seen the Institute fulfilling its motto of 'QUALITY SERVICE & VALUE BASED EDUCATION' to the student community. Adhering to its core values, the institute gives top priority to ethical values and high standards and a commitment to value based education. We believe in working honestly and sincerely, in building trust and in maintaining a long lasting relationship with the Society. Our team comprises of highly qualified and motivated faculty. Core competence and a friendly but efficient work culture play an important role in our overall achievements. 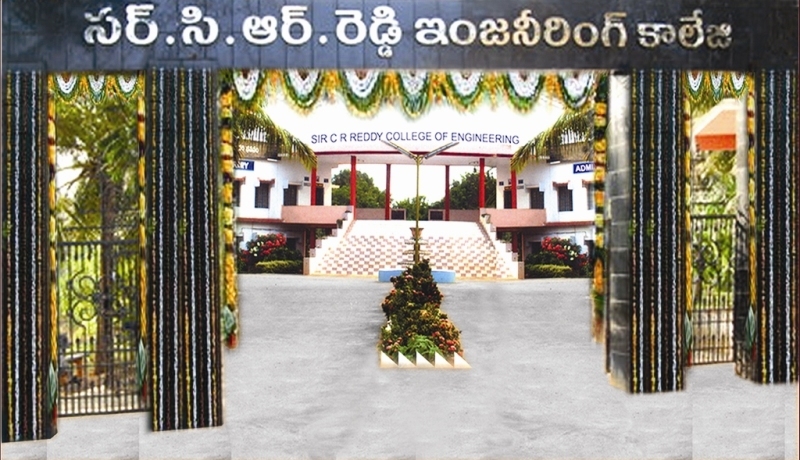 The College is situated near Vatluru railway gate in Eluru, the Head Quarters of West Godavari district. It is surrounded by beautiful paddy fields and is on Chennai-Howrah highway and train route. A large number of buses and trains run via this town. It is easily accessible from any part of the country by rail as well as road. The College is located in its own sprawling campus with an area of 30.48 acres. Its magnanimous infrastructure and greenery attracts the attention of people who pass by. The vast green campus housing several Departments provides a stimulating environment to the high caliber staff and students of the institution.